Once a bride and groom set their wedding date, find a wedding venue, and start planning for their wedding, they also start looking for their wedding invitations. Wedding invitations give your wedding guests the first impression of your wedding and set the vibe of how your wedding is planned to be and look like. There are so many places in Dubai that create beautiful invitation cards for your wedding and other events. 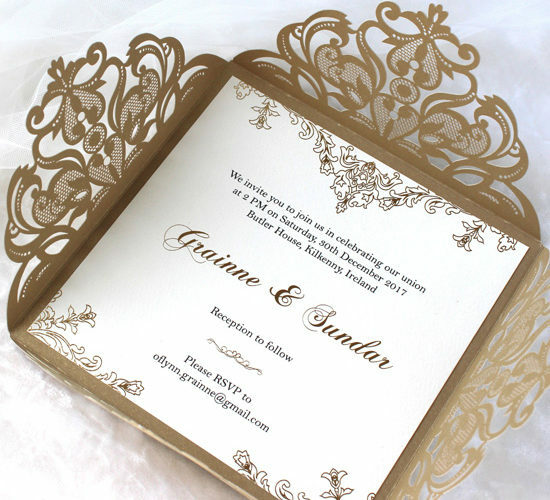 We previously shared with you "Where to Buy Your Wedding Invitations From in Dubai!" 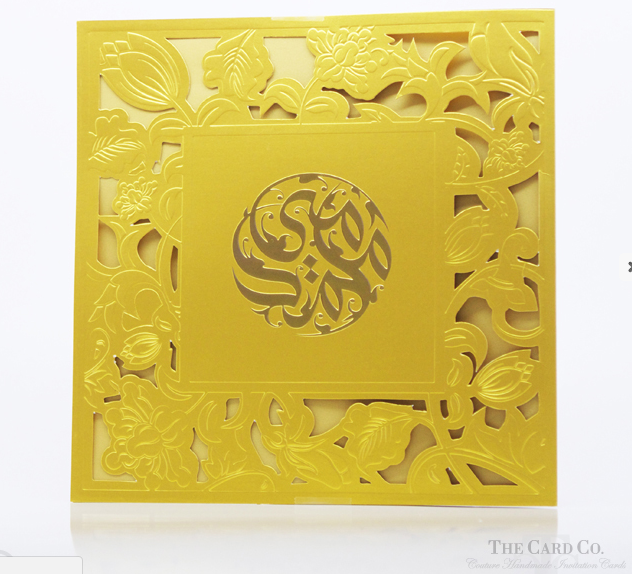 This time we are sharing with you the top places that can custom make beautiful laser cut wedding invitations in Dubai. 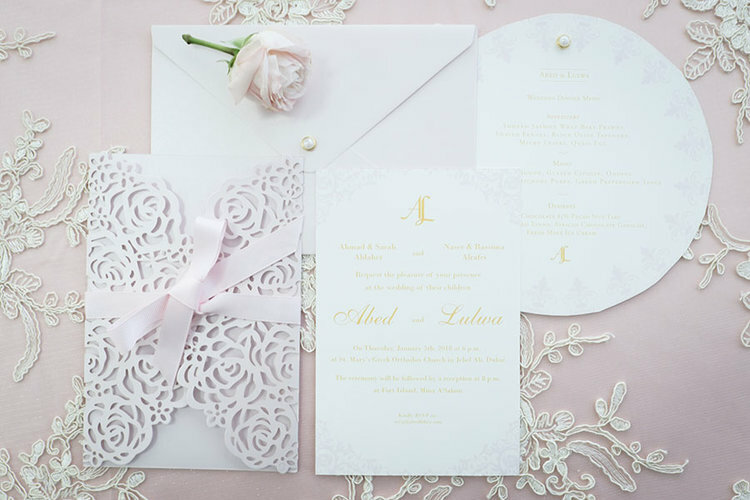 Laser cut invitations are elegant and delicate and never go out of style, check some ideas for laser cut invitations here! Studio Sol is a small design studio based out in Dubai and run by graphic designer, Julie Sol. She designs both modern and vintage invitation announcements, stationery, personal and corporate branding and so much more. Since starting in 2010, Studio Sol has been featured in Martha Stewart Middle East, Viva Weddings and Emirates Bride Magazine, and Hello! Wedding Middle East. 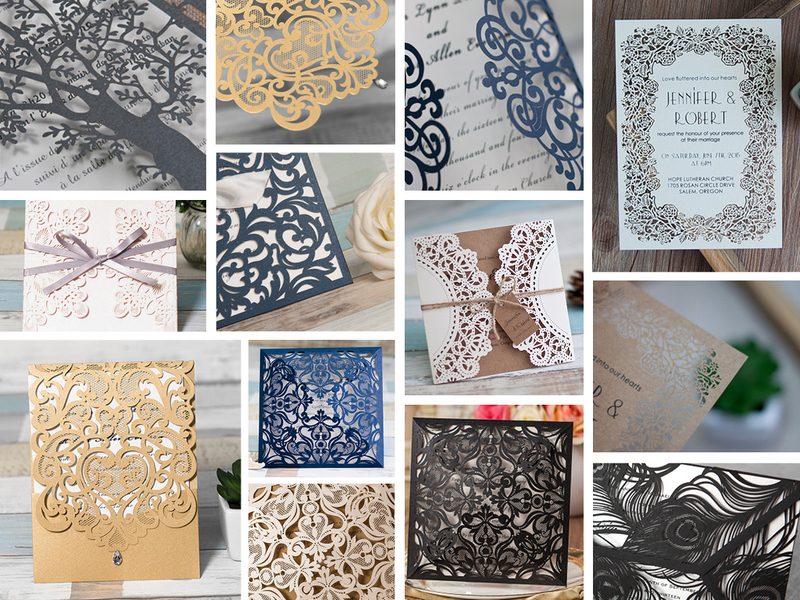 Studio Sol now has a wide range of laser-cut invitations, available across a broad range of colours. Designs for the inner card are completely customisable. Experts in letterpress, The Card Co. Dubai provides tailored fine stationery solutions, both simple and complex, for all life’s special moments. 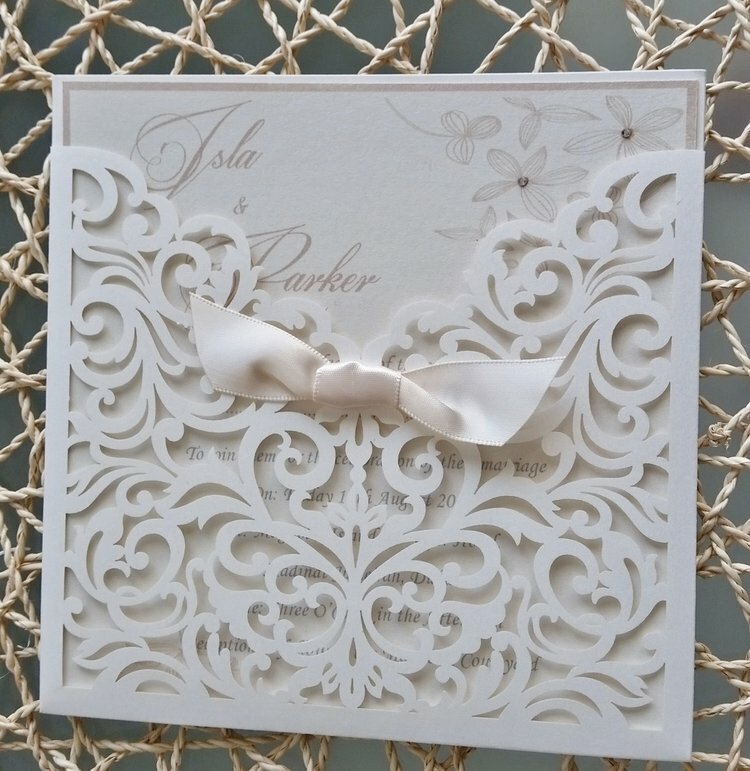 The Card Co.'s creative team provides unique and exclusive one-on-one service delivery with world-class design and expert finishing, handmade by a team with over 35 years' experience in printing craftsmanship. Founded in 2015, since then Skreations a free zone company has come a long way in the design and creation of invitation cards in Dubai. The designers’ team of Skreation is passionate and dedicated to everything they do. The fusion of beautiful designs with modern and fine techniques results in the spectacular invitation cards that are the perfect match for the occasion. Skreation is the unparalleled invitation card company in Dubai brings creativity with simple and luxurious personalization to every detail of the cards. All of their invitations are handcrafted to suit every single client. With your choice of wording, and a choice of colours, designs, embellishment, and font styles, LKs Invitations can create your ideal invitation card for your special occasion. Creative Box Designs was founded by Ritu Patel, a graduate in Commerce but that didn't stop her from following her passion for art and design. Her love for paper and unique stationery is visible across all her designs. Her passion for design and luxury is translated through each project that is created by the studio.